Lovely wall, the neutral colors help bring out the character, nicely done. The text block is a bit distracting though, maybe you can sub it with just the name or a shorter text? Not bad at all, but I think the bg and the text are too rough for the very smooth character picture. 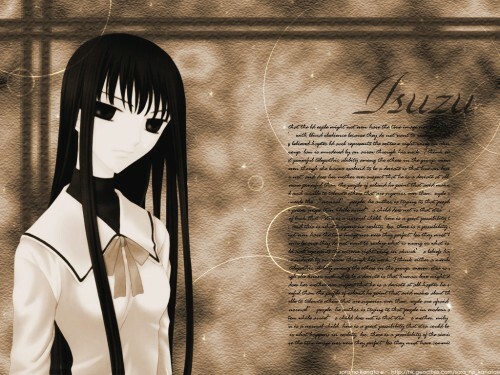 just a quick question, i have seen the anime Fruits Basket, but I have no clue as to who Isuzu is...could someone tell me? ?